The mDesign Stackable Water Bottle Holder creates organized kitchen cabinets, fridges and garage shelves. 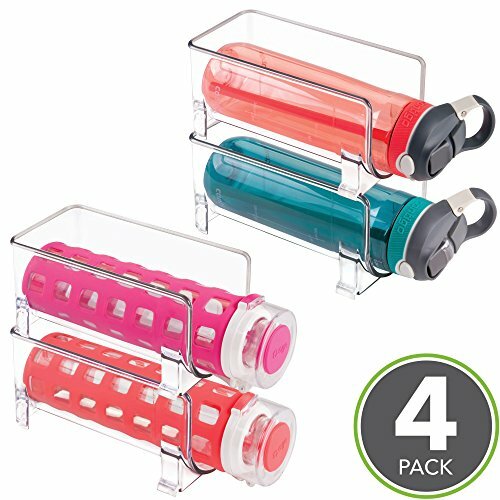 These durable organizers hold bottles in place and ready for use. Stack multiple to create a custom unit. Made of BPA-free, food-safe plastic.